It is said that a ship carrying one of the largest quan- tities of black spiced rum ever to be brought over from the Caribbean Islands, for unexplained reasons, never made it to it’s destination. Stories were plenti- ful, and whilst an attack by The Kraken was suspect- ed, no stories were ever confirmed. 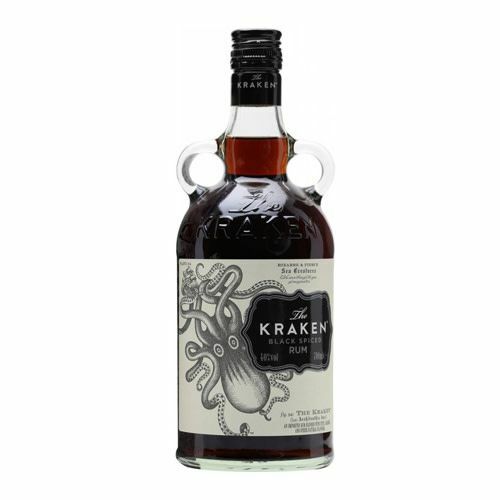 Barrels carrying this black spiced rum drifted off the ship into the sea and the rum was renamed after the Kraken as a tribute (Some say as a “sacrifice”) to this beast’s unchallengeable power and might. As they say, “To not respect the power of the Kraken, is to not respect the sea.” So drink with respect!